Disney Junior Begins Production Of Dave Stevens’ The Rocketeer For 2019 Release! 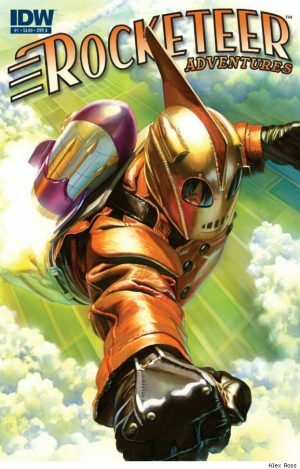 Disney Junior has begun production on The Rocketeer, a new animated adventure series aimed at kids 2-7 and inspired by Dave Stevens’ comic book series. It’s set to premiere in 2019. 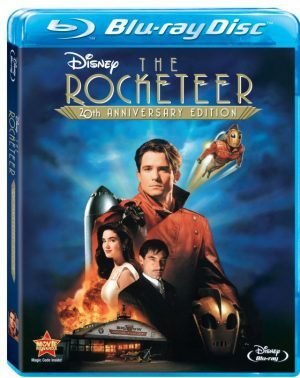 The Rocketeer follows Kit, a young girl who receives a surprise package on her birthday revealing that she’s next in line to become the Rocketeer, a legendary superhero who has the ability to fly with the help of a rocket-powered jet pack. Armed with her cool new gear and secret identity, Kit is ready to take flight and save the day with her gadget-minded best friend, Tesh, and airplane-mechanic uncle, Ambrose, who join her on epic adventures. Each episode of The Rocketeer will feature a pair of 11-minute stories and include an original song. Nicole Dubuc (Transformers: Rescue Bots) is executive producer. The series will be produced by Wild Canary in association with Disney Junior. The Rocketeer is based on comics by creator Dave Stevens. The character was also featured in a 1991 live action film.